How do I create a custom permission set? 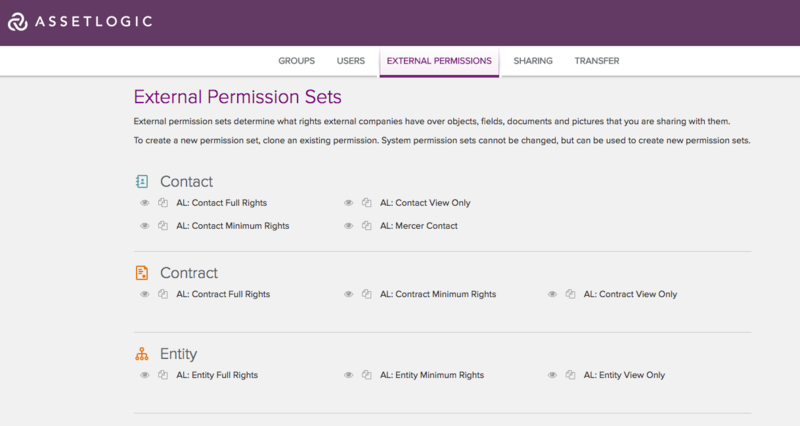 Go to the Admin section of AssetLogic and select External Permissions on the navigation bar. Select the Clone icon next to an existing permission set. Name your new permission set and Save it. Use the tick boxes to customise the permission set. You can make this just about as detailed as you want. Select Update. How do I edit a permission set? What different permissions are available? How can I control which objects in a group a user can see or edit? What different permissions are available? How do I edit a permission set?